Bring on the silly season with a four-course feast, limoncello and unlimited drinks. It can be difficult deciding where to host your annual Christmas shindig; the venue needs to be nice and central, cater for every kind of eater and boast a buzzy atmosphere which will make the party both fun and memorable. Well, we've found a place that ticks all the boxes. 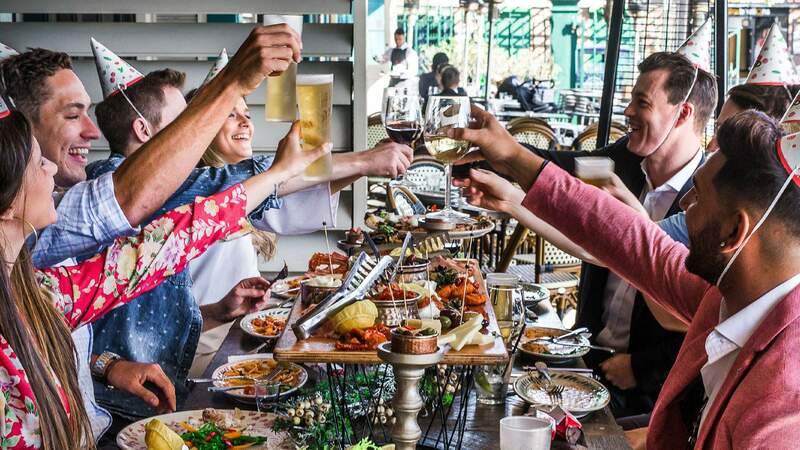 With five locations around Sydney and a curated four-course menu running from November right up until Christmas, this Italian eatery is a great spot to host your silly-season soirée. The Christmas package covers everything from bonbons and party hats to limoncello shots, so you can just sit back, relax and let the good times roll. The menu features plenty of Italian favourites, like baked figs wrapped in prosciutto, fresh crab linguini, top-notch antipasto and a decadent tiramisu. If you're feeling extra festive, you can add on the Christmas beverage pack ($49 per person) and receive unlimited drinks for two-and-a-half hours — that should get you nice and merry. The best part? You have the chance to win a Criniti's Christmas feast for you and your crew — and we'll pick up the bill. Enter your details below and score a table for six to eight guests (valued over $600) to use between December 1–24, 2018. Your pals will thank you for it.